Do GW games expect too much of the player? A small Empire patrol ready for a minor skirmish. I bet that headline is something you don’t read every day, but I don’t mean “too much” intellectually or tactically or whatever. This is just something I’ve been thinking about recently. 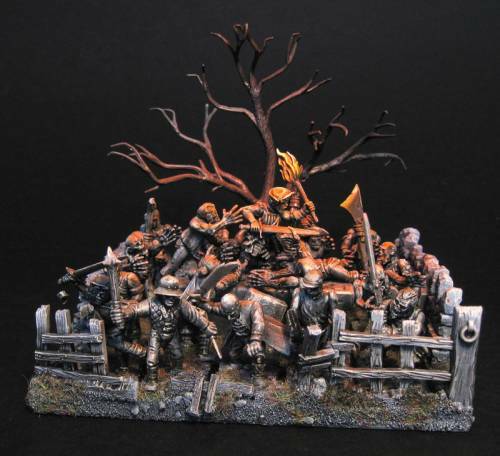 The GW flagship games are expecting more and more from the hobbyist in terms of commitment. As discussed in this article about scale, they attempt to mash together a skirmish-game level of detail with squad-level game scale. Historically this is because they started as skirmish games, but some bright spark noticed that skirmish games inherently limit how many models you need to buy. Nowadays the “standard” game of a GW game is going to involve several hours, probably close to or more than a hundred models on each side (give or take; depending on the factions being fielded) and all of these models are supposed to be assembled from multi-part kits and painted. This is all fine I suppose. It’s traditionally how it’s been done in toy soldier wargaming. But is the modern gamer really capable of committing this much energy to one game? I definitely don’t think so, based on my experience. Now that gaming has stopped being a sporadic activity and become a way of life for many, the number and sorts of games available have exploded. You can either try and keep up, or stop calling yourself a gamer, because you can be damn sure there’ll be plenty of people out there ready to tell you that you lack the gamer cred to even have an opinion unless gaming takes up a significant amount of your time. But are companies like GW expecting too much from us? I can see at least two ways of looking at this. Yes, they are operating on an old-fashioned model from before the “gamer revolution”. Modern gamers (most of whom, statistically, are adults) just don’t have the time to commit the amount of energy these games demand without exluding other games they want to play. There are many other games with an equal, though different measure of depth and player satisfaction that don’t expect anything like the creative energy and sheer monetary cost. 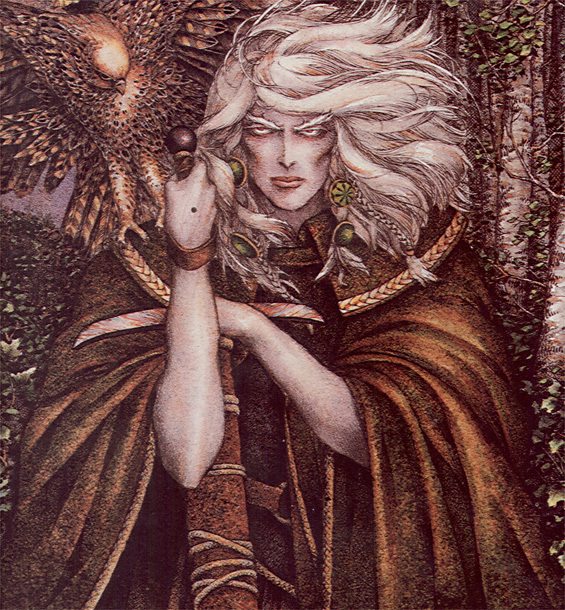 Video games for example, as Fulgrim discusses here on Tears of Istvaan. GW and companies like them need to adapt or die. No. 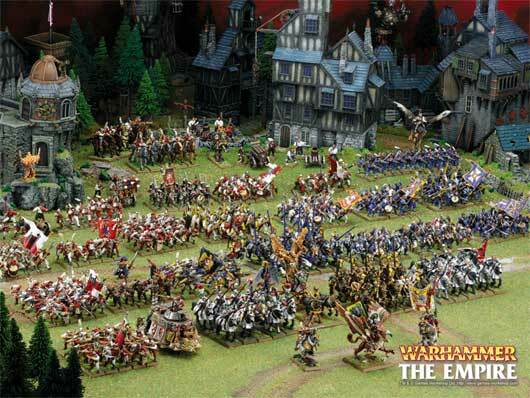 Games Workshop games and other mixed-scale miniature games are for kids. The company is assuming you are obsessive, play only their game, and have plenty of free time because you are a kid: You aren’t out drinking, or working overtime, or at a party, or playing another game because it’s better suited to pick up and play and you only have an hour. The company only seems to be expecting too much because you’ve made the mistake of thinking that you, as an adult, can successfully balance the demands of their game with the rest of your life. It’s not meant to be like that. You’re meant to play Warhammer as a gateway to adult games. That’s their niche, and the ridiculous scale and cost in time and money is the signal that sensible grown-ups shouldn’t be playing. I don’t think it’s that easy to tell which (if either) of these is the right answer to the question. I’m leaning towards no, I have to say. That’s the old Warhammer spirit! Creative modeling and a dark fantasy feel. I just read this post on House of Paincakes, from Jungles of Lustria, and it really interested me. I don’t play Warhammer Fantasy Battle these days so I hadn’t realized that this was going on in the community, but seriously, what a great idea! Apparently there’s some controversy, some people think it’s cheating or whatever, but unless you love being punished by Games Workshop and think we should all line up and take our medicine I can’t see how you could object. This looks to me like an obvious adaptation to the increasing problem of scale in Games Workshop’s flagship games. It really warms my heart. Companies will naturally try to push you into spending as much money as you can bear, but the humble consumer will always find a way around their tricks eventually if the price is seen as exploitative. Unit fillers solve the problem of the wallet- excruciating, game-retarding number of models WHFB requires these days, and simultaneously encourage imaginative modeling. Win-win! If only 40k wasn’t a fake skirmish game I could make some for my Imperial Guard platoons . . . I was looking for something in my storage unit the other day and I found this, a photo of a diorama I set up way back in 1995 when I was in high school. 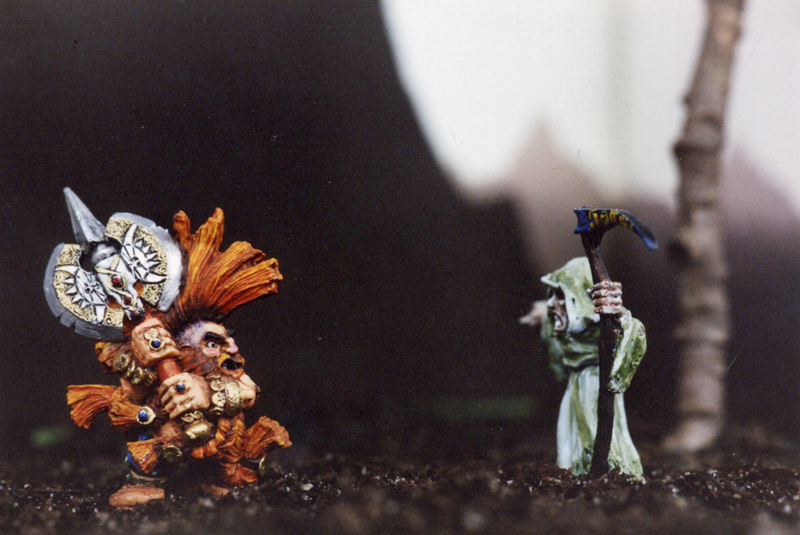 I would have been 17 or 18 when I painted these guys. I used to play Fantasy a lot more than 40k and my Dwarfs far outnumbered my Orks, but somewhere along the line I lost interest in the Old World. That Daemonslayer is a fantastic model. 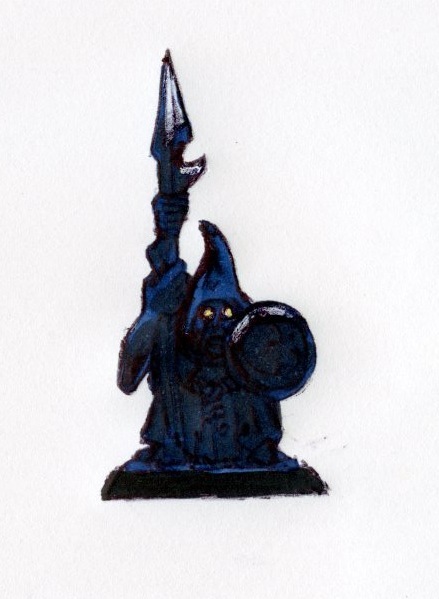 It was the mini I was most proud of back then, and I painted that wraith dude for my little brother’s Undead army. As I remember, I put their bases in a bowl of dirt with a twig for a tree, and set up a glossy hard-cover book with a landscape picture behind them. I then took a photo with my SLR film camera(!) Unlike today, when gamer culture is everywhere and nerds rule the earth, it was definitely not cool to be a geek in 1995. I remember being really hesitant to get this picture developed because the camera shop people would see that I played Warhammer. When I moved away from the little town I grew up in, I left my Dwarfs with a friend of mine to look after. I saw him a couple of years later and he’d sold them without asking me, so I have no idea where they are now. The wraith is in a box, covered in dust at my brother’s place. For maximum authenticity I have done nothing to this picture in Photoshop but change the size.